Own a piece of current and past history with the FN M249S Centerfire Rifle from one of the most storied military gun makers, FN. This collectible is a semiautomatic version of the machine gun that American troops have carried since 1991. Rugged polymer buttstock is ergonomically shaped for a solid cheek weld, while the pistol grip puts your body in the best position for accurate shooting. Trigger pull adjusts between 4 and 6.5 lbs. Quick-change cold-hammer-forged stainless steel 20.5″ machine-gun barrel boasts a flash suppressor to hide blinding muzzle flash in low-light conditions. Checking in at a whopping 17 lbs., you can rest assured that recoil is next to nonexistent. Integrated MIL-standard bipod delivers a solid rest anywhere you choose to shoot. MIL-standard M-1913 rail makes it easy to attach your favorite accessories. Primary sights are graduated to 1,000 meters, allowing you to hone in on distant targets. Semiautomatic closed-bolt operation. 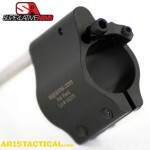 Trigger pull is easily adjustable between 4 and 6.5 lbs. Trigger Pull: 4 – 6.5 lb. I know I have stated this previously but the bar keeps getting raised (or is it lowered?) 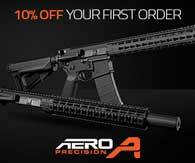 I think this may be the cheapest I have ever seen a brand name AR-15 being offered for sale. 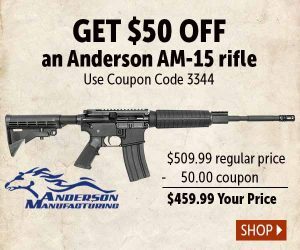 The Anderson AM-15 retails for $599.99. Brownells has it on sale for $509.99. 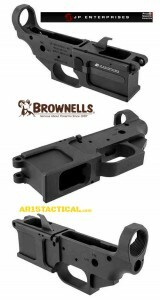 Then if the Brownells Coupon Code 3344 is used here the final price is $459.99. Whenever I have a gun project for one of our family of websites I always begin my parts search with our advertisers. I believe that one hand washes the other. In a perfect world I’ll find both inspiration and a solution while browsing Brownells. Evidence of this can be witnessed on the current ASA Side Charger AR-15 Project. Seventy percent of the parts are sourced from Brownells. Then on the other hand there are times I suffer from a bit of decision paralysis. In the case of the ASA Side Charger AR-15 I could not decide on a gas block. Fortunately I’m a lucky guy who has very knowledgeable friends, brothers and enablers and there is one such brother and enabler I shall refer to as FS2KSTD. When he speaks I listen. So in the case of the gas block he was my go to for advice. I explained the current project needs and his response was immediate “Superlative Arms”. Brownells at the time did not offer Superlative Arms so I purchased my SABO-DI-750CM direct from the manufacturer. I am happy to report today is a new day and under Brownells “New Products” is the complete line of Superlative Arms AR-15 Gas Blocks and Piston Kits. The Superlative Arms “Bleed Off”, direct impingement, 30 position, forward venting, adjustable gas block. Gas adjustments are made by bleeding the gas out of the block, forward away from the operator, instead of restricting the flow like conventional adjustable blocks. 30 position adjustable gas “Bleed Off” vents the excess gas forward away from the operator instead of restricting it, and is a Superlative Arms LLC. design alone. 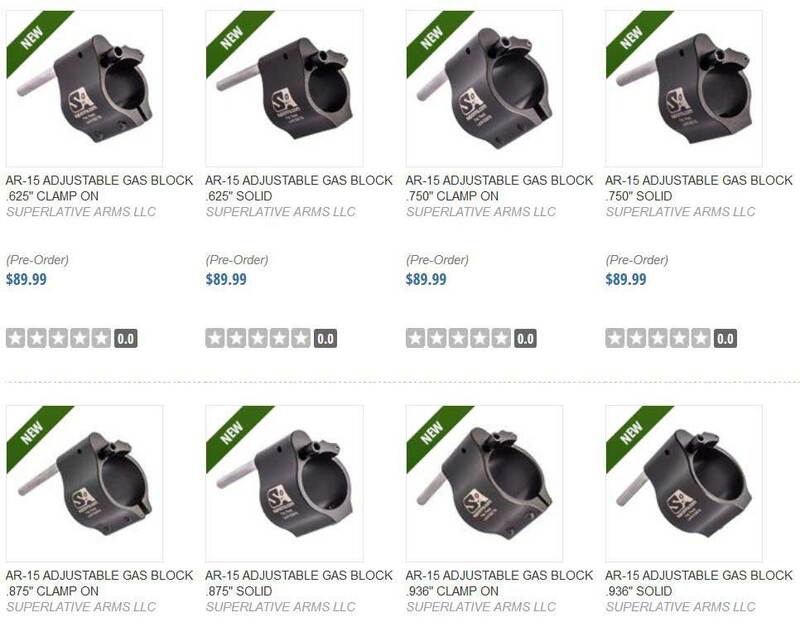 Just when I thought an AR-15 could not be purchased cheaper than the recent OEM editions, Brownells begins to offer the DPMS Oracle for $499 which has the be Cheapest AR-15 2016.The price is not only amazingly low but the DPMS Oracle also remains in stock at the time when there is a rush to purchase AR-15 rifles due to the Orlando shootings and their political ramifications. The best value around. Quite possibly our best value yet. This lightweight optics ready carbine features a mil-std A3 upper receiver, lightweight barrel and Pardus stock for user comfort and advanced capability. Allof this and plenty more, at a price set for any budget. This lightweight optics ready carbine features a mil-std A3 upper receiver, lightweight barrel and Pardus stock for user comfort and advanced capability. All of this and plenty more, at a price set for any budget. Featuring a 16” Lightweight chrome moly barrel with a 1-9 twist. 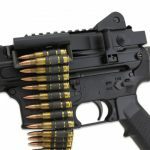 The DPMS Oracle Cheapest AR-15 2016 RFA3-OC weighs in at approximately 6.4 pounds. Both the upper and lower receivers are made from forged 7075 T6 aluminum. It also features a standard A2 pistol grip, a Glacier Guard handguard, A2 birdcage flash hider, and a railed gas block so you are optics ready! Tactical Carbines for personal defense and law enforcement to modern sporting-rifle applications, DPMS has a trustworthy reputation for producing affordable AR platforms. Each of these Oracle models is a gas-operated, rotating-bolt semiautomatic tactical rifle with an 8620 steel bolt carrier, plated per military specifications, that gives you standard AR-15 fire control. 16″ lightweight chrome-moly steel barrel. The DPMS Pardus six-position adjustable stock is impervious to the elements. Outfitted with a dust cover, shell deflector and right-hand ejection. Both the upper and lower receivers are 7029 T6 aluminum alloy that is hard-coated-anodized per military specifications and Teflon®-coated. MIL-STD A3 flat-top upper receiver and railed gas block accommodate your choice of optics. Lower receiver features a standard AR-15 trigger group, integrated trigger guard and aluminum magazine release button. Carbine-length GlacierGuard handguard. A2 pistol grip and A2 birdcage flash hider. Oracle™ .223 Rem./5.56 NATO Compliant – The 16″ lightweight 4140 chrome-moly steel barrel brings the gun’s total weight down to just 6.3 lbs. 1:9 right-hand rate-of-twist rifling. Includes one 10-round magazine. Oracle™ .223 Rem./5.56 NATO – The 16″ lightweight 4140 chrome-moly steel barrel brings the gun’s total weight down to just 6.4 lbs. 1:9 right-hand rate-of-twist rifling. Includes one 30-round magazine. The JP AR15 9mm Lower Receiver Kit GMR 13 is a great starting point for a new 9mm build. By accepting Glock G17 9mm magazines, this lower allows for the ultimate in sidearm & rifle compatibility. Combined with the JP 9mm AR-15 Bolt Carrier and Silent Captured Spring, you can have a unique 9mm build running smoothly and reliably. The lower fits standard AR-15 upper receivers, as well as grips, triggers and buttstocks. Large magazine release allows for quick magazine changes. Receiver includes magazine catch, ejector, bolt catch and necessary pins & springs. Does not include trigger group. For the home builder with a 9mm project, this GMR-13 billet lower receiver accepts Glock G17 magazines and will mate to any Mil-spec compatible upper receiver. This kit includes all exclusive mag. catch, bolt catch and ejector components required for function. Whether as a complete carbine, upper or lower assembly, the GMR-13™ 9mm is a versatile platform that excels in both function and accuracy. The GMR-13™ is available with either our JP-15™ or PSC-11™ upper receiver for a blowback-operated carbine that includes our 9mm Silent Captured Spring standard. The end result is a system that cycles with virtually no recoil, allowing for extremely fast sight recovery with solid 3 MOA accuracy from a pistol cartridge usable out to 100 yards. With the high-performance ammunition available from many manufacturers, the GMR-13™ makes a solid choice for a competitive match carbine (especially considering the cost savings of 9mm ammo over .223) and is also well-suited to home defense applications given its impressive .357 magnum-comparable ballistics with a carbine-length barrel. The lack of concussion in enclosed spaces and greatly limited over-penetration issues when compared to most rifle cartridges only enhance its suitability in this arena. Designed from the start with the needs of law enforcement in mind, the GMR-13™ accepts the same G17 pistol magazines as Glock 9mm pistols for carbine/sidearm compatibility and is also available in select-fire configurations. Built on the PSC-11™ upper receiver platform with its dual charging systems, the GMR-13™ readily accommodates those with training backgrounds on either the HK or AR-15 platform. Also available for military and law enforcement, the complete rifle package includes our own JP select-fire trigger setup for precision trigger control in both semi- and full-auto modes. As with all JP rifles, the GMR-13™ comes with parts and service readily available from a trusted US manufacturer.